Are you looking for a gutter repair or gutter replacement company that you can depend on? Then you are in the right place. At Pacific NW Gutter Services, we pride ourselves in offering excellent gutter replacement and gutter repair solutions for the residence of Oregon. If you are looking for the best in high-quality gutter replacement services at an affordable price, call Pacific NW Gutter Services today for your free “No Hassle” estimate (541) 733-2568. The essential point is; rain gutters must withstand constant weather changes, so the need for replacement gutters or gutter repair is never too far from the mind of a property owner. Ignoring gutter issues and/or the proper gutter maintenance can be the cause of water damage, and expensive replacement costs. If your gutters are broken or worn-out, it is time to call in the professionals. 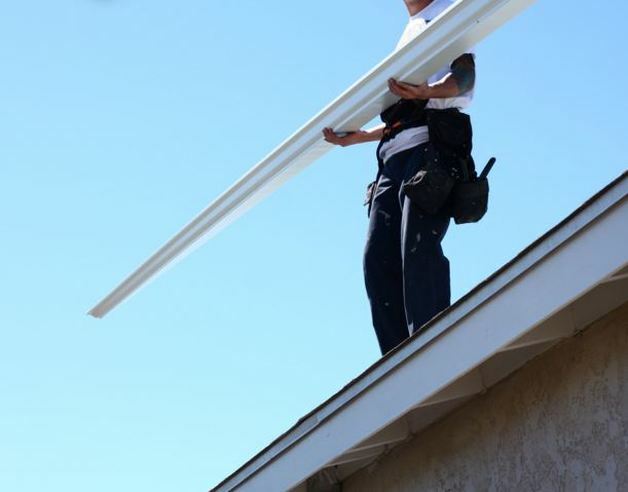 Sometimes homeowners attempt to handle gutter replacement and gutter repair issues on their own, which can be the cause of accidents and unsafe circumstances. If you live in an area with heavy rain fall and/or trees, having clogged gutters can be a consistent problem. At Pacific NW Gutters, we also offer our Bulldog Gutter Guard System that prevents your residential or commercial dwelling from ever having gutter blockage issues. This is a great option when replacing your gutters, because not only does it prevent debris from getting into your gutters, but it also re-enforces the stability of your gutters. Allowing your gutter to last for many years to come, with no maintenance needed. Our team of qualified gutter replacement and gutter repair specialists are highly trained, and always ready to help you with gutter repair or gutter replacement needs. Call us today at (541) 733-2568. We provide residential and commercial gutter replacement and gutter repair services in Myrtle Creek OR, Tri City OR, Riddle OR, Canyonville OR, Days Creek OR, Glendale OR, Wolf Creek OR, Merlin OR, Grants Pass OR, Myrtle Point OR, Coquille OR, Coosbay OR, Roseburg OR, Winston OR, Green OR, Winchester OR, Sutherlin OR, Glide OR, Oakland OR, Drain OR, Elkton OR, Yoncalla OR,Cottage Grove OR, Tenmile OR, and Camas Valley OR.